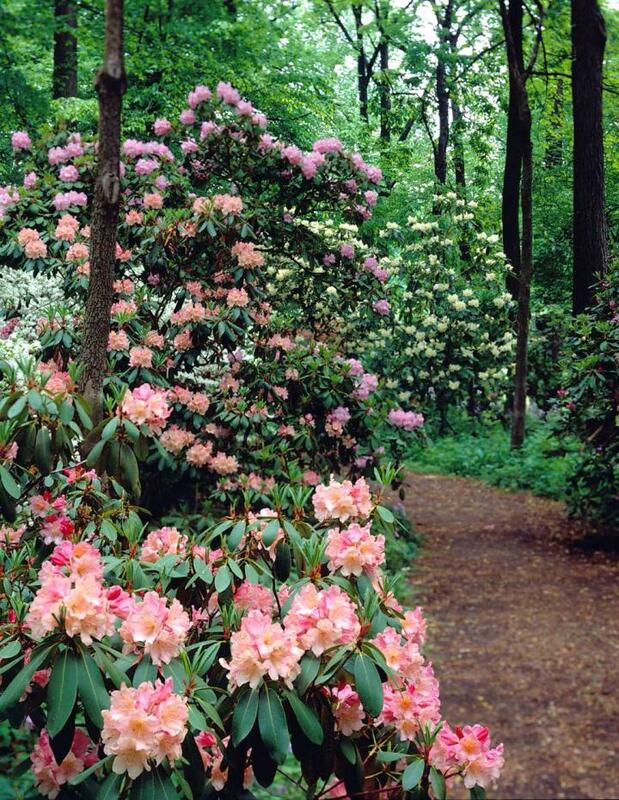 Winterthur is one of the last of the original Wild Gardens. William Robinson’s book The Wild Garden stimulated a new type of garden design at the turn of the twentieth century in Great Britain, Ireland and America. An idea with tremendous appeal to large landowners, The Wild Garden concept is built around the idea of gardening on a broad scale, “placing perfectly hardy exotic plants under condition where they will thrive.” Most early twentieth century Wild Gardens have not survived due to the post War land development and natural disasters such as the hurricanes that struck Great Britain in the late 1980s. Because Wild Gardens depend on plants rather than architecture, or hardscape, once a Wild Garden becomes neglected and goes literally wild, it is almost impossible to reclaim. 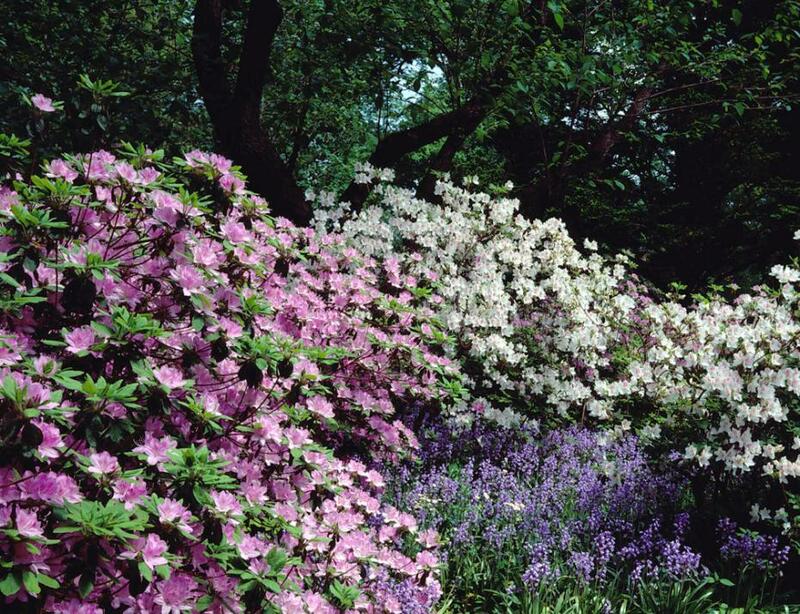 In the Winterthur Garden the flora, consisting mainly of naturalized exotics, is arranged to appear as if it grew spontaneously, planted in large drifts and grouped with other plants that harmonize in color and form. The garden encompasses the entire estate; the views in every direction are important to the whole; the woodlands, hay fields, and meadows are as crucial as the more formally planted areas. The paths are an integral part of to the overall design, curving rather than straight, following the contours of the land, passing around tree, drawing walkers into the garden. At Winterthur “color is the thing that really counts more than any other,” said du Pont. 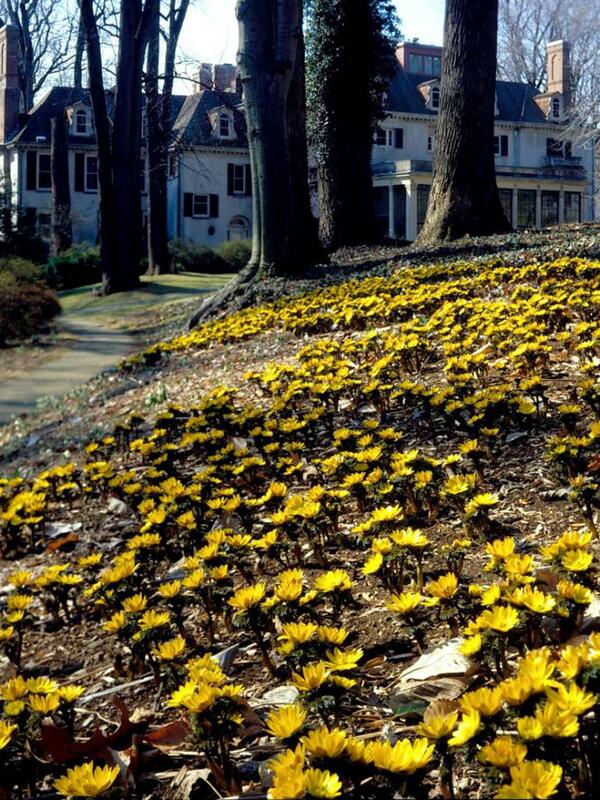 A master of color, the garden is known for its harmony and “near-discords,” as landscape architect Marian Coffin, who worked with du Pont on the garden’s hardscaping, wrote with admiration. At Winterthur nearly one thousand acres of farmland surround the 60 acre garden. The land at Winterthur is under a conservation easement so the property will never be commercially developed. 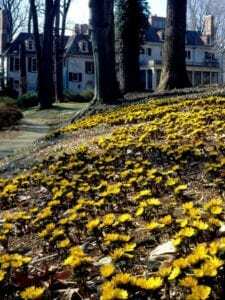 We manage the garden today as though H. F. du Pont were alive and his vision still informs our decisions.